" London, 1868. The Industrial Revolution unleashes an incredible age of invention, transforming the lives of millions with technologies once thought impossible. Opportunities created during this period have people rushing to London to engage in this new world, a world no longer controlled by kings, emperors, politicians, or religion, but by a new common denominator: money. Come on Ubisoft, we have barely had time to digest the last few entries in the series. Actually Assassins Creed Chronicle wasn't even released yet... With that being said, I am moderately interested in this game. 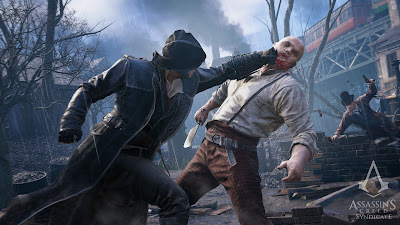 I've always been a fan of the Assassins Creed series but, I feel Ubisoft is milking the series and pushing them out way too often. The last game that I actually enjoyed was III even with all the problems.